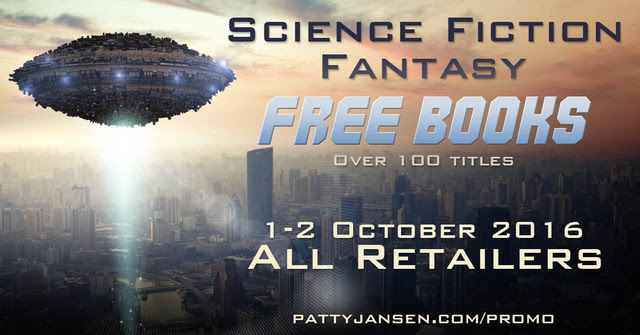 September Sci-fi And Fantasy Mega-Sale! It has become a regular thing, Patty’s promos, every month. A big selection of indie ebooks for you to choose, across all retailers. This promotion is over. To get notified of the next one, sign up at the Mythographer’s mailing list. Sign up at the mailing list over at Patty’s site and get the email as soon as it goes live. There isn’t a corner of the globe these stores don’t cover. 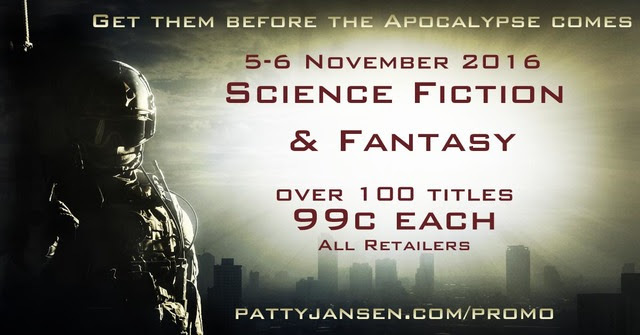 At September the 3rd, you’ll get an email reminding you that the 99 cents bargain is live. Just sign up over at Patty’s page.